I’ve been on the lookout for an affordable wreath pillow for a couple of years now, because I think they’re beautiful at Christmas time. But I’ve not been able to find what I was looking for at a price I was willing to pay. So why not just DIY it? 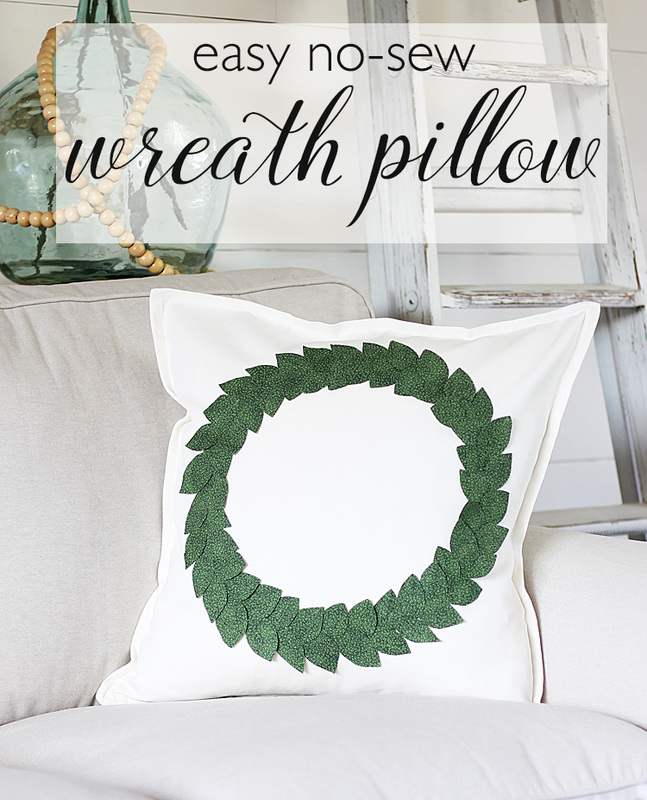 I made my own wreath pillow in just a few minutes with a fat quarter of fabric and a pre-made pillow cover, so that means this is a no-sew project. Want to make one? Let’s do it! 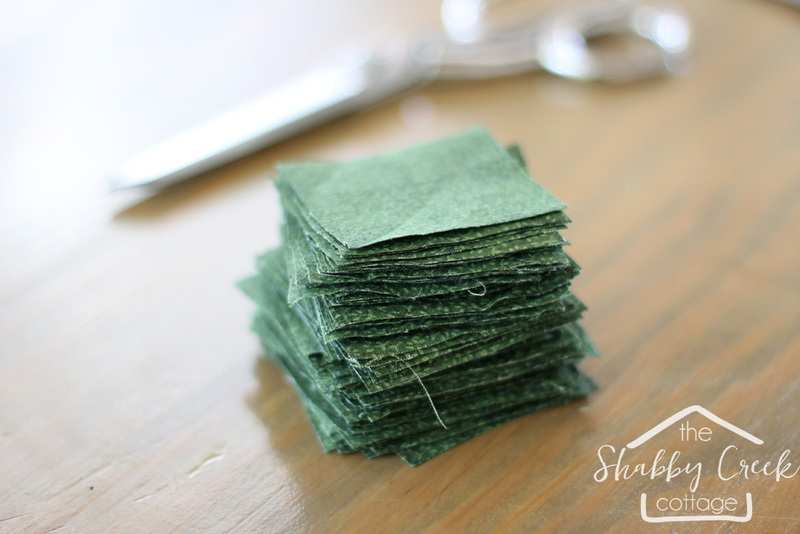 Step 1: Cut a fat quarter of fabric into 2 inch by 2 inch squares. I did mine with scissors, but if you had a cutting mat and rotary cutter it would to much faster. Step 2: Take a piece of the fabric and fold it in half, creasing it with your fingers. 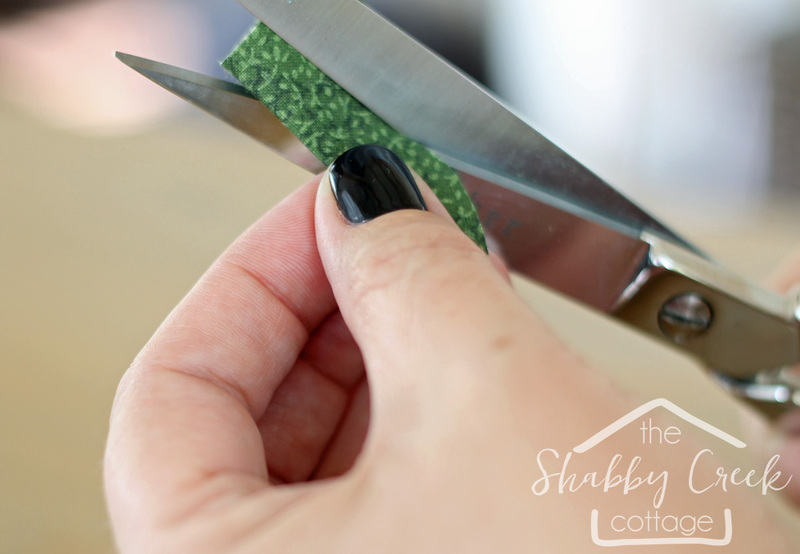 Cut a slight arch with sharp scissors to create a leaf shape. 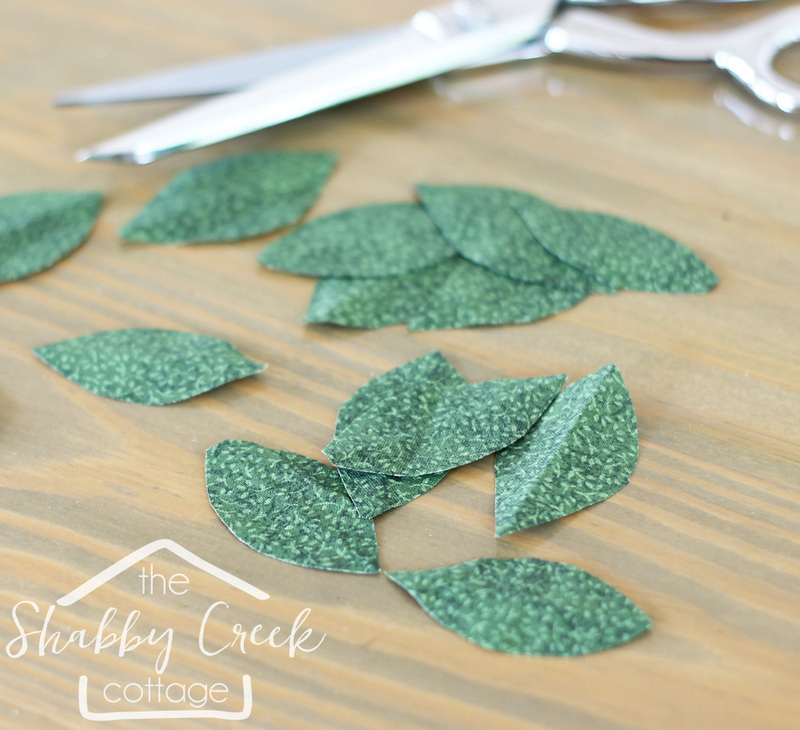 Step 3: Repeat for all the fabric squares until you have a whole bunch of leaves. 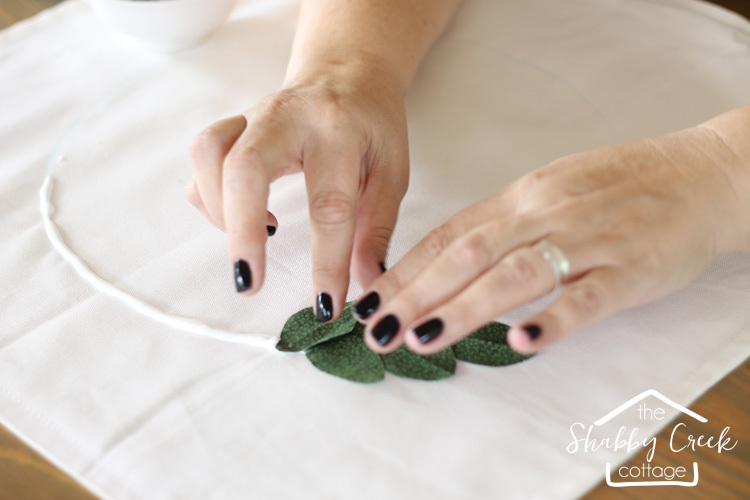 Step 4: Place a large bowl (or any other round object you have) centered on top of the pre-made pillow cover, then trace along the edge of it with tailor’s chalk to create a guide for the wreath. 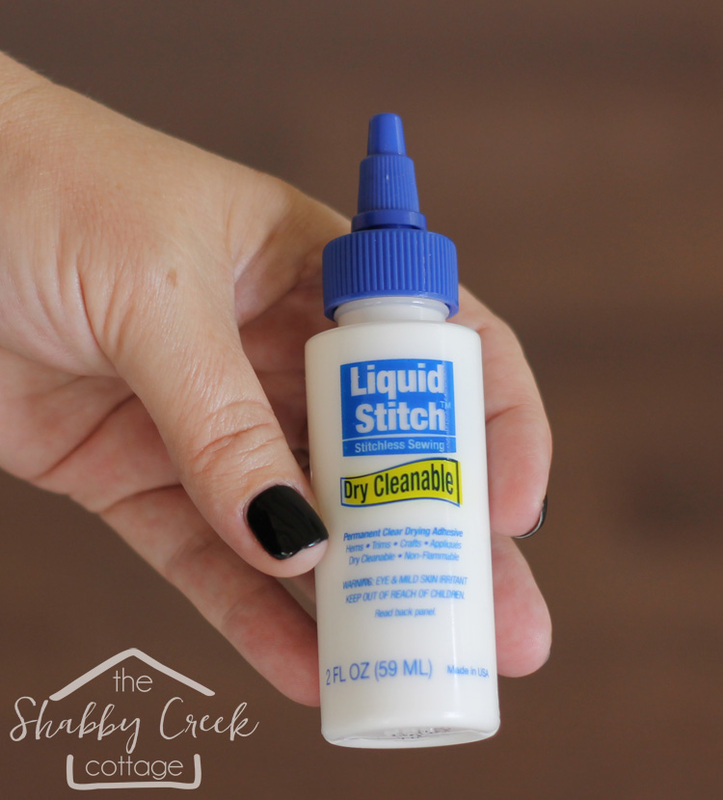 Step 5: This is the magic of no-sew: Liquid Stitch. Run a bead of it along the circle, maybe 1/6th of the way around. Not too much or it might dry too quickly. 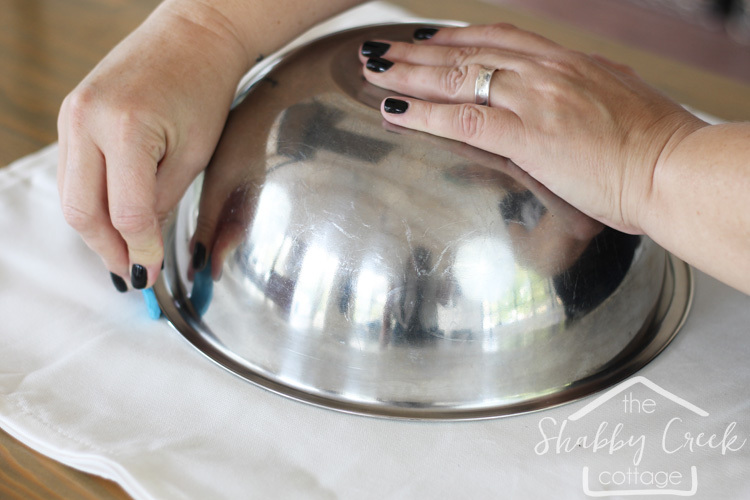 TIP: make sure you squeeze out the drier part at the top, which will be really thick. After a little bit comes out, you’ll find that the rest is more the consistency of school glue and will flow easily. 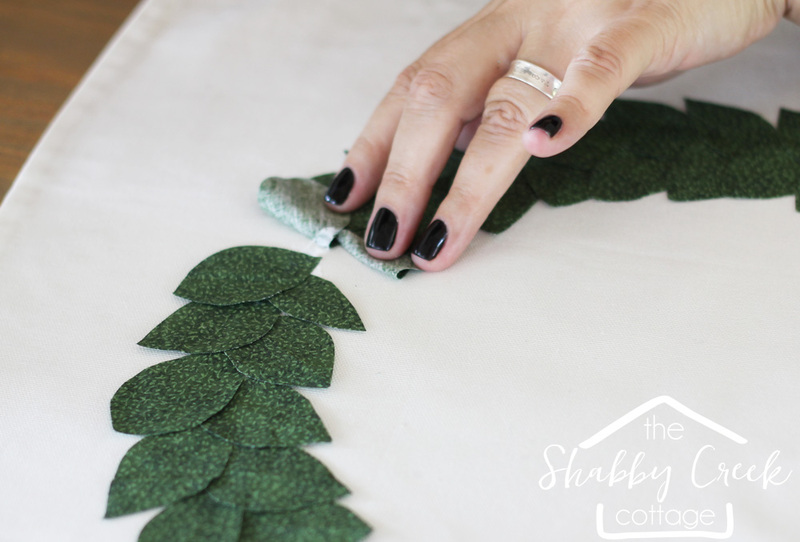 Step 6: Start putting the fabric leaves onto the Liquid Stitch line, alternating one side then the other. You might want to do a dry test run to make sure you get the hang of the lay out before you get started on this step. Step 7: Just keep going around the circle, adding Liquid Stitch and more leaves until you’ve finished the wreath, lifting up the first leaves to add in the last ones. 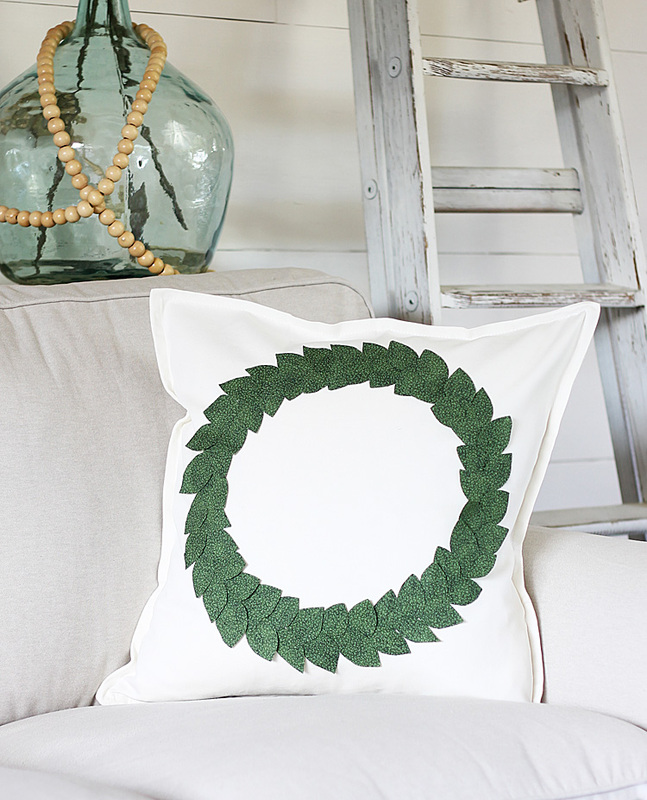 Insert the pillow form of your choice and then your DIY Wreath pillow is complete! It really only takes a few minutes and it was really fun to put together. Wouldn’t it be perfect for the holidays? And if you liked this video, be sure to subscribe over on my YouTube Channel!